Happy Thanksgiving! 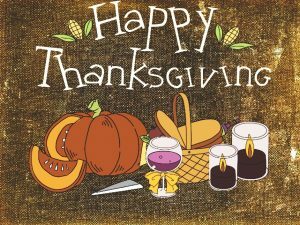 The entire Avaz team would like to express our gratitude and thank you for being a part of the AAC family. Thanksgiving could be overwhelming, in many ways for a lot of us – hosting, planning food! But let’s make this holiday an enjoyable one for the child. Let’s break it down and look at ways to tackle each part to ensure that the child has a good time, without distress or being overwhelmed. Venue– if you are hosting, give the child time to take in this new temporary re-arrangement and do this a few days ahead. Create a designated “my spot” for the child, with their toys and comfort items. If you are going to a different place, get the child accustomed to it, by showing pictures and talking about the place. Clothes– stick to a familiar and comfortable outfit for you and the child. If you want to try new holiday wear- get the kid to wear it a few times before, make sure it is familiar and comfortable. The holiday itinerary- Even though this is a holiday, try and stick to the usual routine as much as possible- like play time, meal time, nap time. Do the 2 o’clock dinner too, but as an add-on to the usual routine. Setting expectations and the holiday mood – Have some fun story sessions of how you are going to spend the day, using visual aids – e.g. car activities on the drive to the venue, whom you are going to meet, what you are going to eat, the parade on the television etc. Faces– Show the child a lot of pictures of the family and create an excitement about meeting them all. It helps jog their memory, as well as prep to meet the newer people. Greeting– One recommendation would be to ask a few people in advance to wait and greet one-on-one, once you settle in. Volume– Pack your noise cancelling headphones! You never know when the party would liven up, so be conscious of the noise levels and use them when required. Conversations– it always helps to role-play greeting, answering questions and the dinner table talk with the child before the holiday. You can also prep your relatives by telling them the latest topics that interests the kid. No harm in having some chicken nuggets– Sometimes, it just helps to bring food they usually eat and are comfortable with, especially if your child is a fussy eater. You can always top off the familiar with some holiday specials. If you have a food-enthusiast in the house– Some kids tend to get distracted with the overwhelming options and may not know when to stop snacking or eating. You can do the plating and serving at the kitchen rather than putting the dishes out on the table. Don’t forget- at every step to give the child a lot of positive feedback! In slow and small doses, your kid got to experiment and have fun. Appreciate their efforts – take notice, give him hugs and, kisses. And remember- if they are overwhelmed and you have to take a break, it’s okay. Or if they are sitting with their toys the entire time- that’s okay too. That’s their way of celebrating the day! Happy Turkey Day, you all!